Bliss in Everyday Normality, Quiet Snow, let nothing taint you. 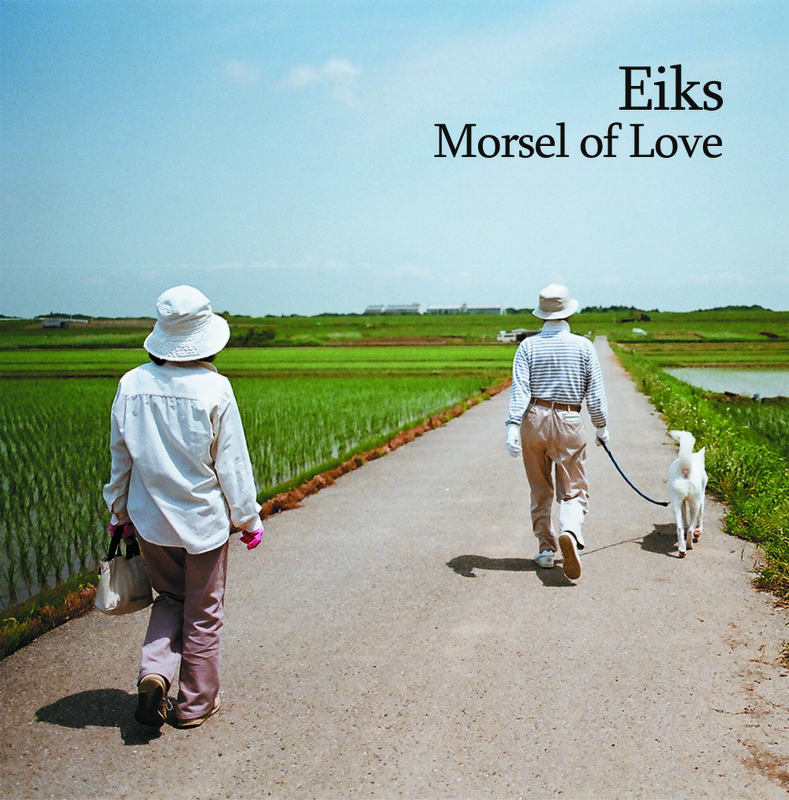 My dear friend, London-based Japanese-British singer songwriter Eiks has released an amazing and beautiful debut EP, Morsel of Love, which once encountered, like a python’s grip, refuses to release your attention. Against a rich tapestry of intricate acoustic guitars, haunting layered vocals, piano, and precise string arrangements, Eiks meticulously observes and imagines the hopes, longs and dreams of her fellow urban dwellers. Her style is deceptively naïve; stories that at first seem merely simplistic observations of her fellow urban citizens, but whose stories and inner passions reveal themselves through the accomplished writing of Eiks’ imaginations into their lives. The Chase seemingly charts a city worker’s daily morning commute, yet Eiks’ confidence in her writing, and the complex vista she paints in our minds, demands we ask where his fate and guarded inner demons will eventually take him. Eiks often writes in the third person, as if to discourage the listener to associate her own feelings to the characters she creates; Eiks often presents us with a situation, a choice, but it is up to us to decide what will happen. Remember You is an exception in this collection of five songs, being the most openly autobiographically emotionally charged; a bittersweet lament, primed and ready to explode yet always keeping its outward composure – simmering like the pot of stew in Quiet Snow. Still waters run deep. Eiks has an original songwriting voice, and an eye fixed on her immediate surroundings; the daily grind, the slivers of nature in the urban environment. Repeat listens are rewarded as new layers of each song reveal themselves, and the complex arrangements slowly bloom like spring flowers, or the urbanites that are so prevalent in her writing; each finding their own unique space within the structure of the song. This is an accomplished and confident debut from start to finish, and a haunting bittersweet listen. Morsel of Love is available now from Bandcamp and iTunes. Eiks plays The Betsey Trotwood in London on Friday March 8th. Find out more at www.eiks.co.uk. This entry was posted in Friends and Family, Inspiration, Music and tagged Debut, Eiks, EP, Morsel of Love by thomworld. Bookmark the permalink.